Amazon has changed the rules of the game. Everyone now expects fast and free delivery, as well as greater control over when and where they receive their packages, including the ability to dynamically change that information. The result is that all businesses with goods and services that need to be delivered must provide their customers with the personalized delightful delivery experience they expect across the last mile, first mile and every step in between. Bringg’s market-leading customers have come to realize that in order to solve this problem they need a delivery logistics solution. They understand that it is a strategic imperative in today’s dynamic competitive environment, a way for them to remain relevant and viable in the coming years by establishing a clear competitive advantage. Bringg’s powerful solution helps companies achieve logistical excellence through a winning combination of perfect customer experiences and streamlined delivery operations. The platform help keep a continuous focus on their customers through a fully-controlled frictionless delivery – from the headquarters, through the field, and all the way to the end-customer. 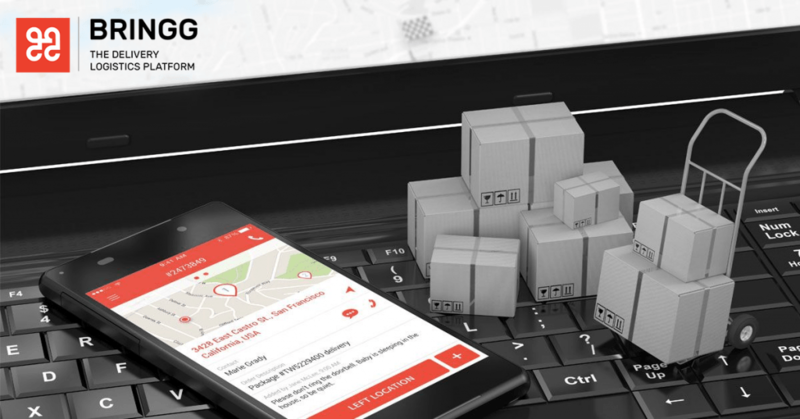 At the same time, Bringg provides them with the most efficient way to manage their logistical processes in real-time and with full visibility. Our modular solution optimizes the efficiency of their entire delivery ecosystem, including the ability to seamlessly manage internal and external fleets, such as crowd-sourced and subcontracted resources. Bringg, the leading delivery logistics technology platform for enterprises, has customers in more than 50 countries including some of the world’s best-known brands. the company has raised $30M from Salesforce Ventures, Aleph.VC, the Coca-Cola Company, Pereg Ventures, Cambridge Capital, and Ituran. Our customers come from the logistics, retail, consumer goods, restaurant and services industries, and prospects include virtually any company with goods or services that need to be delivered in B2B and B2C markets. The company has offices in Chicago, New York, London and Tel-Aviv.